3 Easy Tips on Keeping Your Chickens Happy in The Summer! Some time ago we gave you some tips on how to feed and care for your chickens in the winter, and from your feedback we found out that some of you have problems with another season, like summer. Because of the number of their feathers your chickens can feel very hot in the summer and that affects their behavior a lot. The heat makes your chickens lack hydration because of the sweating, and they also lack proteins and a lot of important and needed nutritious materials. 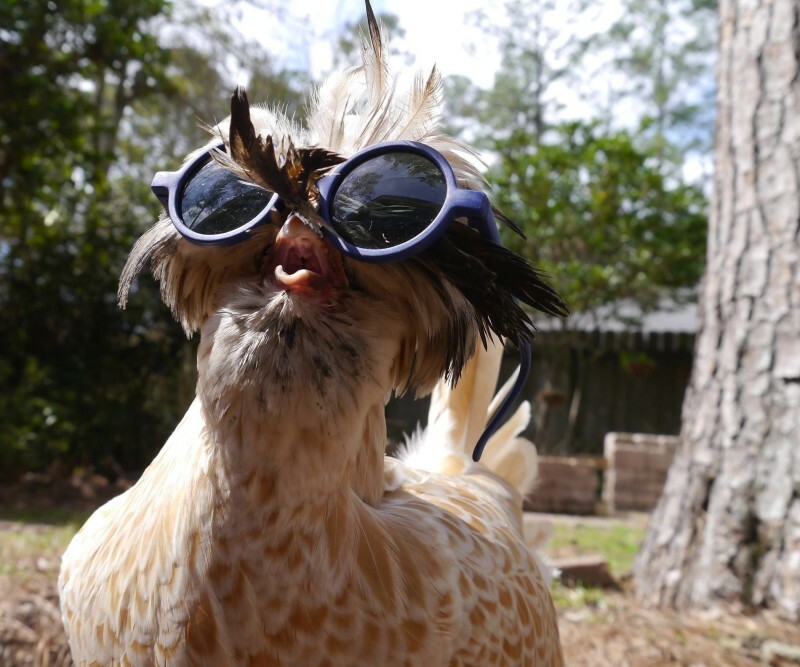 So we at the typesofchicken.com team have decided to share with you some simple and easy tips on how to keep your chickens happy in the summer. 1. A pool can be great! If you have the room and the finances for one of those small child pools you can put it near your chicken coop and fill a small part of it with some cold water. Although chickens do not enjoy being wet the cold water can make the air a bit cooler and your chicken will enjoy splashing in the pool if the heat becomes somewhat unbearable for them. If you cannot provide the pool, spraying some cold water on top of your coop or if you get your chicken coop with this manual (it provides a place for them to wallow) you can do the splashing cold water trick there. 2. Give them a cold treat! Heat can be stressful for your chickens and that can be very bad for their health and their egg production process. We at the typesofchicken.com team don’t want to give our chickens factory produced vitamin pills, through some research we found a way to give our chickens cold, sweet and nutritious treats during the hot summer days. Take some highly nutritious fruits like kiwi, watermelons, peaches, apples or such and cut them into small pieces. Then put them in the fridge until they are slightly frozen, then give them to your chickens. After your chickens taste this treat you will notice almost in the same moment a change for the better in their behavior. 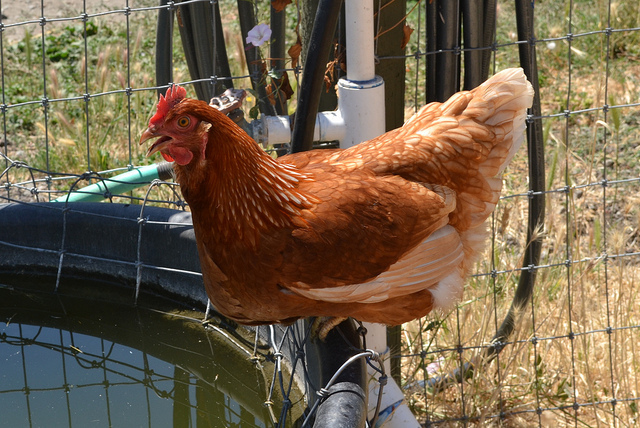 What can be also helpful in those hot summer days is for you to put some electrolytes in their water, this will help your chickens be hydrated. Electrolytes can also help your chickens to avoid stress and thus keep them in their happy place. Add ice in their water dish, this will also help keep the temperature of their water stay cool. If you have your own chicken coop chances are that during the summer your chickens don’t have enough shade in the places they want to peck and play in. What you can do is build a board or add some carton boxes above those places and provide a nice shady place for them. It is not a secret that the air is cooler in the shade, we`ve all experienced that, so providing a shady place in the hot summer days for your chickens can do more for their behavior and health that you can imagine. Shade can be a good place for insects to move during the hot summer days so this is a big plus for your chickens because they will have more to peck. Insects are also a natural provider of proteins for your chickens, and that is what your chickens will require a lot in their days of heat. We at the typesofchicken.com team keep our chickens from feeling stressful in any kind of weather with the help of our chicken coops. We build our chicken coops using this easy and simple manual and we suggest you do the same. Previous Article Tips On How To Raise Friendly Chickens! You will be surprised with Number 2!!! Next Article How To Keep Your Chickens Entertained & 3 DIY Toys!